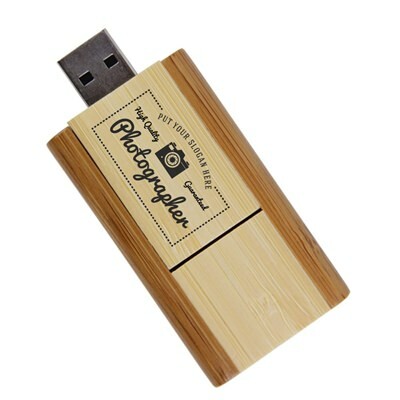 An eco-friendly custom usb drive for photographers, our Bamboo Flip is a great choice for showing off your “green” side. Made out of sturdy, beautiful bamboo, this drive is easy on the eyes and boasts a powerful data storage capacity. It can be customized with your client’s name, monogram, or your company logo, turning it into a wonderful gift item. The drive is protected inside an integrated swivel cap. 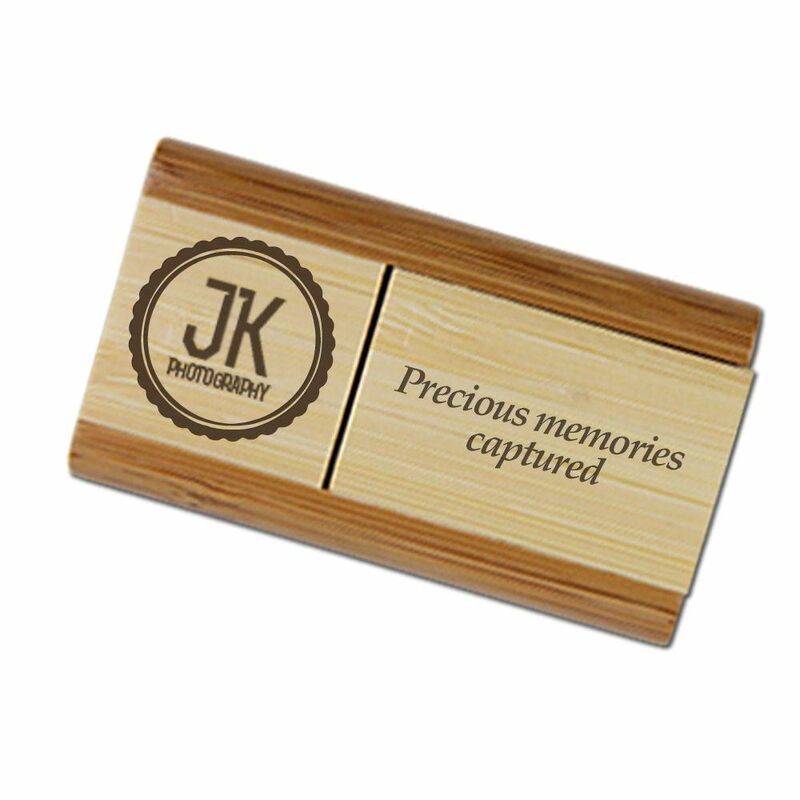 It will look great on its own, even better with a matching wooden photo box! Easy to carry and a breeze to use, it’s the perfect choice for backing up your most important photos. 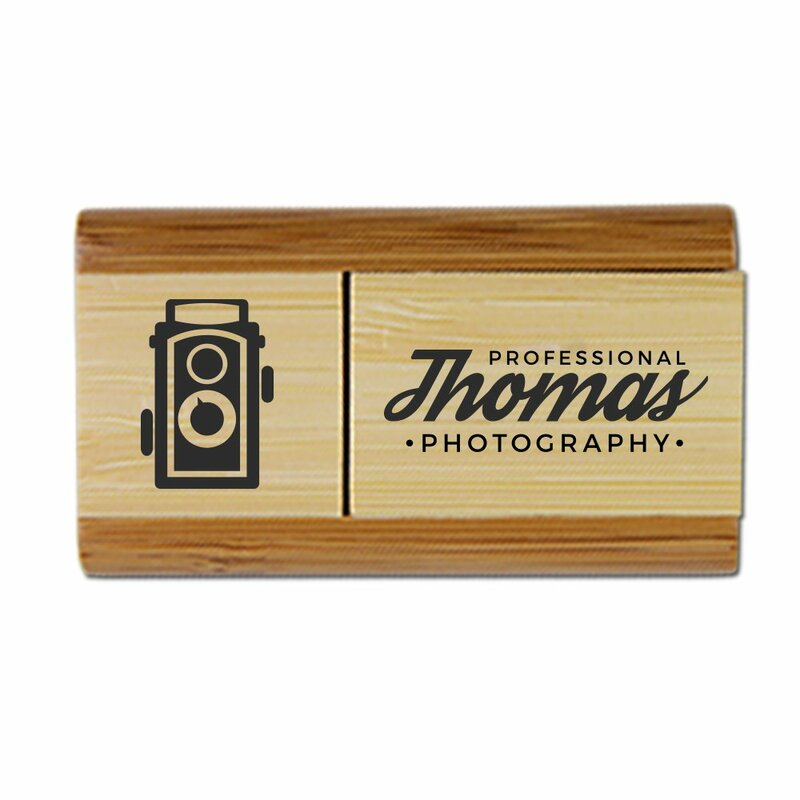 Photographers are flipping out over our beautiful to behold Bamboo Flip custom USB drives! These smooth to the touch, handsome USB drives are easy to carry around. Made out of eco-friendly bamboo, these “green” drives are protected with an integrated swivel cap. 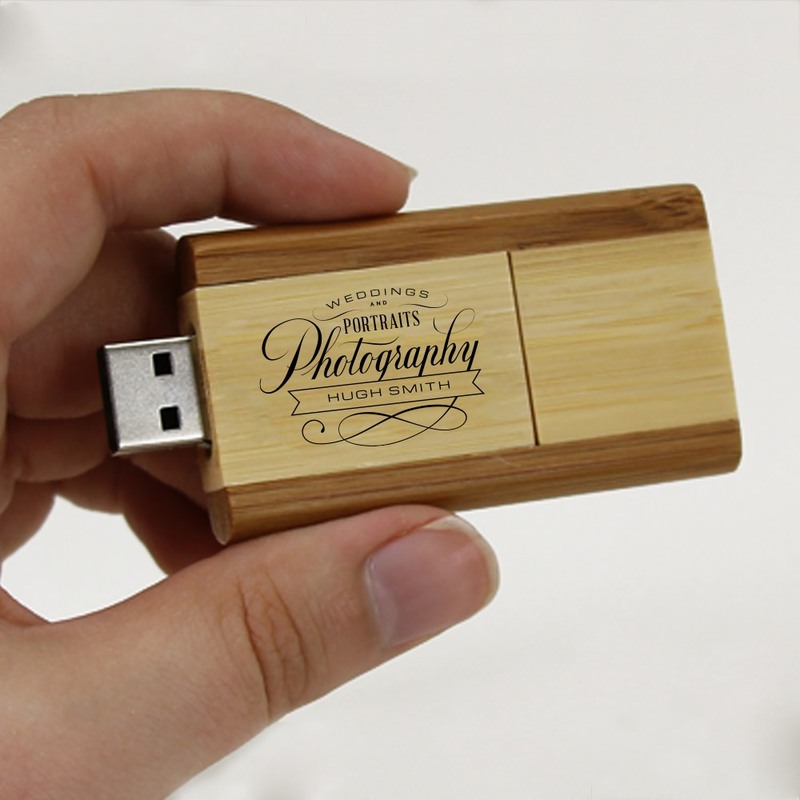 The Hi-Speed USB housed inside has a huge data storage capacity, perfect for holding onto photos taken at weddings, corporate events, family gatherings, senior pictures, photojournalism, or any other type of photos you might take. You can customize this durable flash drive with your name or brand, turning it into a gorgeous promotional item. 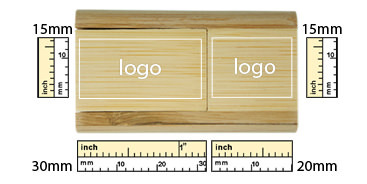 Forget about business cards: our Bamboo Flip is the best way to make a great first impression!